Hopefully this will give you some context for what follows. I'm an engineer from Maine that loves to party and loves COH. I've been worldbuilding since around 1996, starting with Warcraft II. My COH mapping experience is going on about 6 years now (you can check out & download my best maps in the WhiteFlash Map Pack COH1 thread), and I'd like to share with you an overview of what I've come to learn. This guide is focused with COH2 in mind, and even though we don't have access to the Worldbuilder yet, I've already begun to think about a COH2 prototype map. Until we get our hands on the goods, this Guide can be a catalyst for talking points on current COH2 maps and how to improve them, and we can use the thread to talk about what we'd like to see in future COH2 maps. Please enjoy! It is critical to consider the following elements when making and revising maps. The number of players on any map is based on either demand from the community or from a worldbuilders inclination. Seeing as COH2 has recently released, and seeing as the biggest potential area of growth for COH2 is in the competitive arena, I will be focusing on 1v1 and 2v2 player maps. Reason being is the second you decide to design a map for 1v1 and 2v2, you've axiomatically made the map worse for competitive games. You're immediately compromising the benefits of specific 1v1 or 2v2 sizes for something in the middle, which erodes the potential performance of the map. Designing sectors for a 1v1 and 2v2 map also changes the architecture of what you could apply to a map that is specific to the number of players, eroding the maps quality further. I could go on for days why making these "hybrid" maps for the competitive scene is a bad idea, but I'll spare you. Remember these "hybrid" maps would be fine for comp stomping, but the competitive scene is the focus here. All this isn't to say that the rest of the community isn't as important, but if you can successfully design a ladder/tournament worthy COH2 map, making a map for the rest of the COH2 community wont pose a challenge. Theater of war maps will be interesting, epic, and challenging in its own way, but I digress. The size of a map is tied very closely to the number of players on a map. There are no rules for this as certain maps such as Wolfheze demonstrated. Keep in mind the actual dimensional size of the map doesn't necessarily reflect the size of the map being played on. Constraints on the outer edges of the map, openness, or how closed it feels can effect things. Also weather and atmospheric color and the like all have an effect on the players perception of the size of the map. Guidelines as far as I understand them are as follows and fall into X(width), Y(length) coordinate systems and everything is referencing PLAYABLE area. 1v1 maps should not be smaller than Angoville in the X and Y Coordinate if making a square map. Rectangular maps such as Beaux Lowlands are reasonable places to reference rectangular shaped sizes for 1v1 maps. Minimum 2v2 square map sizes should reference Wolfheze. 2v2 maps should not be longer than Rails & Metal in the Y direction, and ONLY if making a rectangular map. Keep in mind these are only guidelines, experimentation is always a solid path if you're willing to increase the risk that the map wont make the cut. The benefits are potentially worth it if you can innovate in terms of size design. These guidelines are one of the primary reasons hybrid maps are a terrible idea as far as the competitive scene goes. An example is Rails & Metal, widely recognized as the best 2v2 map ever made. The specific size set out for the map completely prohibits a 1v1 map being made on that scale for the competitive arena. They can exist in the comp stomping arena, but if they make it there their quality will be axiomatically worse because of how size determines many design elements. This will become more evident later. Base placement is often an afterthought for many worldbuilders. Place your HQ, a call in point somewhere, add an entrance and you're done right? Wrong. The first thing you will need to do is consider where on the map both bases go. The most efficient way to do this is place bases opposite from each other across the map. It makes symmetry easier (if thats what you're going for) and takes the least amount of thought. 1v1 cornered bases give you a diamond shape so extreme corners along the center axis of the map have potential for design options, flanking routes, high resources etc. like on Angoville. 1v1 bases along the edge of the map are unlikely to utilize the corners of the map because it takes units out of the game and makes anything in those corners less useful depending on design, but are definitely still an option (reference Langres). 2v2 bases are always next to each other. This is to keep players focusing on teamwork, and keeps players individual bases from being double teamed and wiped out. 2v2 COH2 maps should serve as a catalyst for teamwork and cooperative tactics to squeeze the most fun factor out of your map as possible. Also don't forget to make player base sizes big enough to accommodate ALL possible structures to be built with room to spare! You have more than one and all units are essentially called-in. The biggest thing to keep in mind is accessibility to the map via your call-in locations. Remember to keep your call-in locations in areas that get units into the fight as quickly as possible but keep them away from being completely pinned in via base harassment. Only one exit from your base? Doh! Not a good call. There are very few instances where only one base exit is a good idea. Entire armies can be pinned with few or no options to quickly get back into the action. Opponents will place mines, MGs, or worse at your only access point to the map. Keep two entrances available to all bases unless you're reinventing the wheel. Fixed positions is something most people take for granted. It's very useful to tournament play, but if you're designing a map specifically for tournaments it's important to you too. Fixed positions allows a mapper to be more specific on faction variability and unit styles. The most obvious example is when I was designing Argentan Crossroads. There is a specific wall placed at the entrance to the German's fixed position base. It is setup such that only Germans have access to green cover if an early American force pushes the Axis off the map (which happens often enough to consider), giving the German forces a chance in the early game to counterattack successfully. There is a precedent to design around fixed positions when it's applicable, as it is with tournament maps. This is hard to explain. Map flow in my view consists of an overall idea as to how a map should present and define itself. Using hedgerows (for lack of a better term), roads, and rivers are the biggest features in this philosophy. The way the river presents itself, it's clearly a map based environmental obstacle. But at the same time the three roads leading to important objectives define the map in a unique way. ...is set up such that the center VP is where the majority of the action takes place with its openness and the church nearby. The cutoffs also connect directly to the center area of the map. Its these overarching concepts in a map when its first being considered that can help air in squaring away the future of the map. You don't have to, but it gives some direction. Sector layout is paramount to any map regardless of size, player count, factions included, comp stomp, tournament, ladder...it's the gas in your maps engine that makes it worth playing at all. Sector layout is tricky to nail down. So many different elements contribute to the way your sector pans out: terrain, cutoffs, initial layout, roads, rivers, the list goes on. For the most part, there are two schools of thought on how sector design should be approached. One is that sectors should be entirely laid out before anything has been placed on the map. The cutoffs, the fillers, the VPs, the null areas...everything. You place all sectors and then design the territory around what you've placed then tweak from there. The terrain will attempt to form around the sector placement. The other major approach is placing bases and morphing your sectors around terrain, cover elements, buildings, and environmental obstacles. As the terrain morphs, your sectors will form onto the terrain. There are other ways to design, but these major schools of thought are the basis for sector design. Sector design in itself is an art. The most practical way to design an excellent sector layout it to test it with players, solicit feedback, and then use your discretion and experience as a mapper to adjust things accordingly. There is no right answer to creating sectors, but there are many wrong answers -- the examples are rampant. But with good testers, an unbiased perspective, and experience, you can crank out some awesome and intense sector layouts to keep COH2 fresh and interesting. COH2 cutoffs deserves its own section and I'll tell you why. If you don't have cutoffs on your map and you want it to be competitive, you're doing it wrong. Any competitive player will notice a cutoff and any good competitive player will do everything to take advantage of it, it's the nature of COH. Mappers are obliged to provide as many strategically unique elements as possible to serve as a catalyst to encourage new strategic gameplay. Cutoffs are one of the best ways to do this. It's hard to nail down the best way to create a map with unique cutoffs. An attempt by myself is this layout -- very odd looking, but once you understand it the center becomes very important and provides four cutoff possibilities with one sector. An example of a map that could have been great but wasn't because of lack of cutoffs is Sturzdorf. People have tried for ages to nail down why this 1v1 map just isn't good enough for tournament play. I would submit it is because of lack of cutoffs, and I don't mean that hokey one right next to the +16 fuel, I mean no discernible base cutoff, and no real flow to the layout. Its too close to a grid to act as an interesting playing field. Never stop trying to improve the cutoffs on your map, its importance cannot be understated. Resources in COH1 was a tricky bit, in COH2 other elements have increased the difficulty of map making while the ingenious resource layout of COH1 has been deflated to its current state. That is not to say that interesting and dynamic maps aren't possible now, they certainly are! More attention is going to have to be put on the fact that the total usable sectors is reduced to 14. This puts a strain on cutoff focus and resource allocation to certain points of the map to create interesting points of contention. Mappers need to be aware that although the resources are more standardized now, there will still be a focus on high resource placement, and what effect that will have on contention within certain areas of the map. High resource points are critical for teching, unit abilities, and vehicles. Similar to VPs, mappers will need to understand where to place these critical points and create dynamic areas of contention that gives players options. Considering the restricted number of these sectors you can place, keeping them in very interesting areas of your map is important. Also keep in mind these points are the points to have set up to be cut off. All of this talk about cutoffs leads to these points. High value should be balanced with high risk. If you can set up a map to have these high points cut off in an interesting and fair way, you're most likely on the right track. Always be prepared to move these important points around as your cutoffs develop to keep your development cycle fluid as the map improves via feedback and mapping experience. This is fairly obvious. Interesting locations, seriously intense points of contention. That is the essence of a Victory Point. When placing VPs, an important factor is considering that high resource points eventually become less important, and VPs gain importance as a game progresses regardless of how the game goes. So there will always be contention around the area consisting of a VP. Keeping the VP locations as interesting as possible is a great way to yield epic comebacks or epic games in general. There is a lot to consider when placing VPs: flanking routes, certain kinds of cover, shot blocking placement, etc. The most important point is give the player options to attack and defend a given VP, because the game will most certainly depend on it. And most of the time in an epic game the area around a VP (if its important enough) will be completely destroyed, but that's what we are here for right? Unit pathing is mostly solved through rigorous testing. You can get a general feel for pathing of units as most of your areas develop, but try to encourage testers to report on pathing issues with screenshots to get a better idea of how to fix it. Units clumping for no reason, or getting stuck? Things of this nature are not desired and spreading out environmental objects or removing them altogether is generally a fair solution. Pathing is an ongoing battle and is hard to completely solve because some of the elements involved in unit pathing is at the mercy of the engine but stay vigilant and keep the testers busy and you can solve all the meaningful pathing issues. Light vehicle pathing is more obvious than general pathing. Vehicles that can't crush things like trees, but can crush things like fences and bushes are what you are designing around in this case. When you have a forest (which can be a pain to design for) having 4 trees in a line effectively makes a wall or sticky pathing for light vehicles. Keep an eye on vehicles that get stuck, can't back up, or are acting against the will of the player. This is another case where tester feedback is invaluable, using screenshots again to identify and fix sticky areas. Retreat pathing generally is the idea that when you hit the retreat button, units don't take undesired paths back to base. This can get them annihilated, and can change entire games. An issue I can see with COH2 retreat pathing is if a map is designed around vaulting in a big way (which could be cool), retreat pathing can be a mess. If units are in a triangle of fence where they vaulted in, can they retreat? Without a worldbuilder I can't test this hypothesis, but it is something to consider. If a map was designed around early game vaulting then retreat pathing could be problematic. There are no real design rules here as I have no experience with this type of map yet. But in general make sure units retreat in the direction intended based on their relative location on the map. In COH2 we have the new vaulting system. What does vaulting do for a mapper? It creates an endlessly more complicated map making process, which isn't necessarily a bad thing. Let me explain. 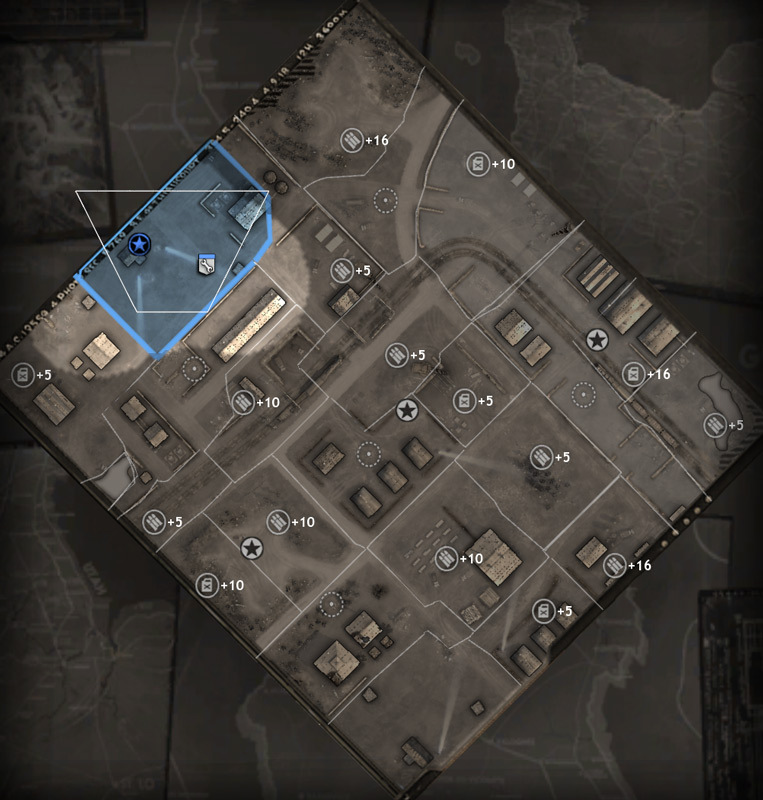 In COH, certain zones of a map were designed around points of contention, and one of the important parts of that was short walls could act as either a funneling device, or to set apart certain areas where flanking would be discouraged and be replaced with cover, or the potential to be run over by certain vehicles, or used as a pathing modifier, or used as base walls to keep units out, etc. In COH2 all that partially goes out the window. Vaulting creates some really interesting possibilities with flanking and maneuvering in general. But for a worldbuilder everything you set up as a "wall" has to consider the fact that infantry aren't constrained by them anymore, unless you're talking high walls of course. Keep your attention focused on the cover and flanking aspect of walls because it will be much more prolific with the system in place. I'm certain more worldbuilding design practices will emerge as vaulting is better understood, so keep an eye on new maps coming down the pipe and pay attention to how vaulting is exploited to make a map better! True Sight is the most exciting thing that has come down the pipe for worldbuilding. True Sight is going to be endlessly exploitive and complex. The idea that units can be surprised by something...anything around the corner is strategically seductive. True sight is going to be hit or miss for some designers and some maps. I can see where there would be tons of combinations of true sight usage that could make a map better, but testing will flesh these out. The most obvious use of True Sight is using buildings for sight blocking. Worldbuilders are going to want to remember things like smoke on the battlefield that may combine with existing True Sight choke points or other design elements to yield unintended results. But for the most part True Sight is going to challenge mappers to be more creative than ever, and I can't wait to see more results as COH2 matures. Do everything in your power to make the best of True Sight when it's appropriate because it has a ton of potential to make areas of contention as interesting as ever. I also foresee something that I'm going to dub True Sight pathing, which defined would be making sure that the True Sight you intend to implement hides what its supposed to hide and show what its supposed to show relative to unit positions. I can see people trying to tweak their True Sight setups so they do what they intend to do. If there was a tool inside the upcoming worldbuilder that could test this without having to actually play the map that would be excellent. We can hope! The changing environment in COH is one of the big reasons that COH > SC. I would submit one of the most interesting things about COH2 and COH in general, is the fact that the light cover is the art. As the game progresses, the environment changes aesthetically and critically effects gameplay, strategy, and pathing. The crazy thing about that fact as a worldbuilder is you actually have to plan for the the map as it changes. Light cover is one of those elements that has vast implications for art direction and gameplay, so in this section we will focus on the gameplay aspect of light cover. Light cover has to be adjusted to accommodate unit firing distances for unit to unit combat, depending on what you are going for. If you want units to be encouraged to close distance or engage in long range combat, then try adjusting the distance at which light cover is presented to each player as units are presumed to be approaching from certain areas. Encouraging flanking is always a great idea, if you have light cover vs heavy cover a player has to either retreat, use indirect fire, or flank to take ground. Keep that in mind when facing off heavy cover vs light cover. Light cover also has a direct impact on pathing in general, but specifically light vehicle pathing. All those pretty fences and trees will have to be placed with all types of pathing in mind as well as everything discussed above. Heavy cover is the thing that the average player will notice the most on most maps. It will be a constant process to refine where it should be, what angle it should be at, how much there should be, why it is where it is, who can or can't control it, flanking options against it, and what vaulting options are near it. Having said that, you do want players to notice it first and you will most likely get more feedback about the heavy cover than anything else, so be prepared for that. Heavy cover, as you probably well know, is critical for any map. It has to be done carefully, make sense, and be fair. Most cover in COH2 is directional, the cover has to be between you and the enemy to be effective. Knowing this, designing heavy cover revolves around the idea that its flank-able. Flanking is the life blood of interesting infantry tactics. Don't forget that the cover you're making will diminish as the battle progresses, so don't expect much too much permanence when designing. Did you know you can use heavy tanks as green cover? How awesome is that!? This is one of my favorite new nuances that Relic added to COH2. There is no real way to design a map based on tank heavy cover but it is worth mentioning how cool it is! Red cover is straightforward. Various things such as roads and certain splines dictate where red cover is. The balancing act that comes into play focuses on road design. Roads make tanks move faster; so you want to be aware of where it is in terms of potential battle lines for flanking, where it is in terms of VPs and bases, etc. The amount of roads can swing a map from being infantry focused to vehicle focused and vise versa. Since this is focused on competitive play, striking a balance with red cover and roads is a must. No Company of Heroes 2 battle takes place on a flat square. Terrain and buildings are inspired by real battle locations on the Eastern Front -- in Russia, the Baltics, The Ukraine, Poland, and Germany. As much as terrain sets the stage, it is also hugely influential on the gameplay. Elevation changes on a map are mostly aesthetic when people first place them, to make things less homogeneous. But elevation can have serious consequences on maps when pathing is concerned. Pathing for units should always be tested, but special attention should be placed if there are areas where elevation changes are drastic. Test forward/reverse pathing for vehicles and infantry. Duclair is a good example where some serious elevation came into play, and a great map came out of the idea that there is a massive hill sloping down. Water, oh water. It's so pretty and so dangerous. COH2 maps that are designed around the idea of having ice and then be transferable to spring must have water. This wouldn't be such a bad thing if water wasn't a historically challenging design element. The bodies of water being placed have to conform with the idea of giving players options. My first thought on Rhzev was: giant river in the middle of a map, disaster. But the way the river winds and has enough crossings and points of interest it became clear that this map has 2v2 potential. Semois is another example of a map with a significant amount of water placement done right. The point here is that competitive water maps are possible, and with great water maps potentially comes great ice maps! Never say to yourself, "my map has to be able to be played in winter and summer" because I'm very sure there are maps that would be great only in the winter, but not in summer and vise versa, and that's okay! Design to make the best map possible regardless of weather. Bridges are the most polarizing element on any map. If you like comp stomp games, you more than likely love them. If you are competitive, you cringe at the first sight of them. I believe that bridges can be used effectively in the competitive arena, but it sure isn't easy to do. The closest success to competitive bridge usage is a community map called Industrial Riverbed and a Relic made map called Beaux Lowlands. When critiquing Industrial Riverbed, looking at the areas where bridges are used shows that even though the bridges act as choke points, between the two bridges are flank-able points. The most important thing this does is give the player options for attack/defense. On Beaux Lowlands however, the bridge is positioned such that it acts strictly as a choke point with few options for players in terms of movement. If you ever decide to throw a bridge in a competitive map, just be aware that it needs to add something pretty significant to the map strategically. Initially ignore all the naysayers when it comes to bridges when first taking feedback. If they are competitive they will immediately hate it, but if your design can shine and it becomes an interesting element, you might pull it off! If you are a map designer two things should excite you looking at COH2. One is TrueSight, and the other is ice! Oh the sweet epic potential of ice. Think about it this way, the risk reward system of COH just got very extreme. Potential reward; speedy movement and an open battleground, tons of flanking options, etc. Potential risk; you're on a frozen lake of risky death. Ice in itself is more compelling and strategically useful to a worldbuilder than water by far. The map that takes the best advantage of ice at the time of writing this is Oka River. The ice on the map is setup such that the critical cutoffs to an entire side of the map lay on the edges of the ice. The frozen river that runs north/south on the map is a golden road to those all important cutoffs. Not only is there a risk/reward system on the map with the cutoffs, it is doubly risk/reward driven because often the cutoff maneuvers come from the ice. Much will need to be learned to understand the best ways to use ice in interesting ways, but as Relic tweaks COH2 and worldbuilders gain more experience, I'm confident it will be a great feature. Another element I think is potentially really great. It's interesting how the competitive scene responded negatively to snow, but there has been less and less as time goes on. It illustrates an important point; all these great new features, when implemented incorrectly, aren't so great. Taking care to make a map that brings out the best in a feature is so critical with the amount of features in a game like COH2. Snow is one of those things that needs to be handled with care, but when it is, it can make for some seriously sweet maps, interesting strategies, and unique experiences. Snow can either be light or heavy. Light snow acts as normal ground, and heavy snow slows units down. Heavy snow isn't as bad as moving through water, because heavy snow can be blasted away and it will prove more flexible to design than water in terms of its slowing effects. It's a beautiful looking addition to maps aesthetically, but use it with care like any other unit slowing element. Walls and hedgerows are the old school traditional ways of really defining a map. They break up sectors, they break up units, and now they break up line of sight. In COH2 this type of object is going to be more critical than ever thanks to True Sight. The most tedious thing with hedgerows or high walls is discovering the perfect length to make them. Longer walls will break up the map more, and depending on what you are going for, you'll have to adjust these things with some care. Understand that the objects are destroyed in longer games, and for the most part they aren't permanent. If you want something permanently broken up, use something like cliffs or deep water. High walls and hedgerows seem simple when you first apply them, but they are harder to nail down then most realize. Practice with splitting the battlefield and creating interesting areas via True Sight. So buildings are important, very important. They stick out on a map more than most things, for their looks, and the tactics that surround them. Building to building combat, flanking buildings, ramming buildings, destroying buildings, using grenades on buildings...any tactician can talk at length as to their importance. Well placed buildings will make a map great. Paying attention to how much damage a building can take, how many units can fit inside, its relative position to resources, choke points, hedgerows, VPs, bases, or anything other points of interest on the map must be considered when placing them. You can rotate buildings to take advantage of firing positions and doors which are all important. Testing will reveal weaknesses or strengths of their placement. Options, as usual, are all important when implementing any idea that involves putting buildings on a map. If you want units to be able to get in or out of a certain building from a certain side, pay attention to doors. If you want a certain player to have the advantage in getting in a structure in the early game, face the doors certain ways. Face them in ways that allow units to retreat when it is necessary, or make a building dangerous to get in because of the door placement. Firing positions in a building doesn't often take much thought, plop a building down and done. But if you can appreciate the nuance of COH then you'll realize how many units can fire out of a certain side, and rotate the building such that it is disadvantageous in certain combat scenarios. Be aware of where the most firepower comes out of a building. Having mapped in weak points to a building isn't a bad thing if it aids in giving all players options and matching the flow you are going for. The range any unit has is relevant to every single thing stated above. Any mapper worth his salt will play with the range of infantry, tanks, mortars, artillery etc. to understand the reach with which units can inflict damage. COH2 is so complex that it can be difficult to find the sweet spot, but checking unit ranges before placing objects is helpful. For example, snipers range can be important if your map sees a lot of sniper play and you are trying to figure out how to best implement your environment to make them more or less effective. COH2 units, tanks in particular, fire their weapons at much farther distances than COH1. I like it! But it will be a new design challenge for any mapper, just be aware of it. Company of heroes is a B.E.A.-utiful game. The direction you go with art is setup from the beginning. The theme of your map will set the scene for the epic battles to come. There are great examples of art, and how good looking maps can be. The art in COH is everything you place, all your decision making, all your planning, all your feedback, all your time that you pour into your map. The entire map needs to be covered up, but with something pretty! Art is best gone over with other worldbuilders, not because players cant give useful feedback in this area, but blending elements of your map together to make it look professional is something other worldbuilders have experience with. They can recognize splats, splines, and terrain markers that might stick out. Take a moment to compare these two images. The one on the left is COH2, the one on the right is COH1. Anyone with an eye for detail can see that the COH1 tactical map is better than COH2. It's something I wanted to point out because it does require attention, and I have faith Relic will address it one day. The main point I would make is that the tactical map is important. In a game lobby it shows the map, the fixed positions of armies (hopefully coming to COH2), and if the map was detailed enough it would allow players to use it to plan before battle. A screenshot of a tactical map lets players plan and strategize amongst themselves. For worldbuilders the tactical map gives them a template for existing terrain, sector layouts, VP placements etc. It's much easier to understand a map using the tactical map than anything else from an overview standpoint. This fact also lends help to worldbuilders tweaking their map from the top down. Company of Heroes is the most fun you can have with an RTS in almost every way. Honestly have you seen it!? Everything I've talked about is a means...to what end? Fun!!! For competitive maps, fun comes in the form of consistently epic games, as much faction balance as possible, and people enjoy the map! All your hard work and effort will hopefully lead you to a map that accomplishes those three things. With the excellent Twitch.tv broadcasting that's built into COH2 now, people will enjoy watching it too! Map feedback will come in all shapes and sizes. Good feedback comes when a player provides replays, screenshots, or other visual aids. The best feedback is unbiased, but this is hard to determine, as your experience with worldbuilding grows you'll be able to recognize bias and work around it. The more specific the feedback, the better. If a player can get very deep into why something happened it better aids you. Don't be afraid to ask players for things like this as everyone will benefit from them. And I'll say this up front, good feedback is hard to come by, its hard to take emotions out of an intense battle and get to the core of what makes a map good or bad in a given area, at a given time. Stay focused on the goal of balance, interesting strategic opportunities, and options for players. Advertise your map and push to have your content tested. Another point to make is that feedback will come. If time passes and you aren't happy with your map, don't be afraid to start over. Yes I said it, start over. It's a massive pain, but you learn so much with every map made that it's worth the effort the majority of the time. For me it was my map Kurland Pocket. I worked on Kurland for months and it just wasn't doing what I wanted, so I started over and made arguably my best COH1 map, Argentan Crossroads. I learned so much from experimenting on Kurland, and it undoubtedly made Argentan better. The feedback from players doesn't always get you where you want to go, but it is critical to effective progress regardless. And there you have it, Company of Heroes worldbuilding in a nutshell! I wish that was a joke...there is a lot to it! Every one of these topics could be analyzed and critiqued to death on every map made. The point of this Guide isn't to scare people away from worldbuilding, it's to better understand it. I encourage anyone that likes a good challenge to look over existing maps, and give feedback in the ways I've set forth. Relic can use map feedback as much as any other mapper, and I know they'd love to see the COH community get more involved in creating content for COH2.